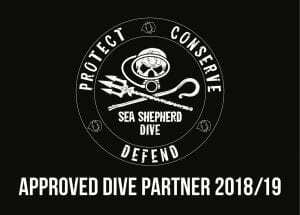 Do your bit to protect whales and dolphins! Nowadays, spreading the word about responsible observing of marine animals is more important than ever. With an increasing number of boat tour operators and recreational boat owners taking people out to watch whales and dolphins on the water and photos of ‘super close encounters‘ getting talked up more and more on social media, it also imposes an increased risk of impacting on the animals. Different types of whales are driven by different factors. Some whales, like the Humpback Whales, migrate between warm equatorial waters and cold, nutrient rich waters. 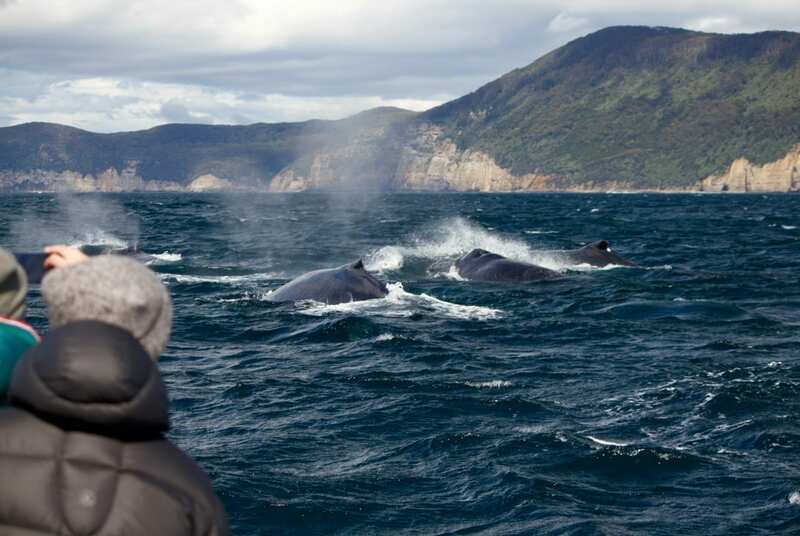 Here in the Southern Hemisphere, they head North to mate and give birth, seeking warm sheltered bays to nurse their calves after being born when they are still quite vulnerable. The mums have just travelled about 5000 km and given birth to a 1 ton baby. During breeding season, they don’t eat anything and live off their body fat reserves, yet have to feed 200+ litres of milk per day to their calves. One can only imagine how exhausting this process would be for the Humpback Whales. Needless to say, that mum and calf require some time to recover and to fortify themselves for the long journey ahead. Thousands of kilometres of swimming, before they reach their feeding grounds in the Southern Ocean. When close encounters get a bit too close..
Keeping this in mind, one should not approach the animals too closely, to ensure they can have their well deserved rest. If they become inquisitive and choose to come for a closer look, that’s great! And it actually happens quite often. 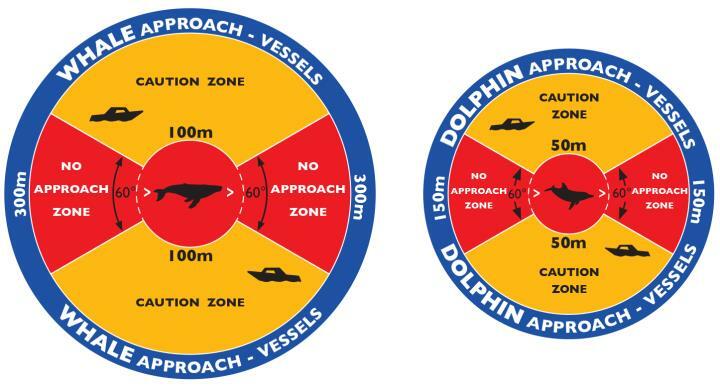 🙂 In that case, it is recommended to take the engines out of gear during the ‘mugging’ (when whales are close and swim around the vessel) and not to engage the vessel into gear until the whales have been sighted a safe distance away from the boat. 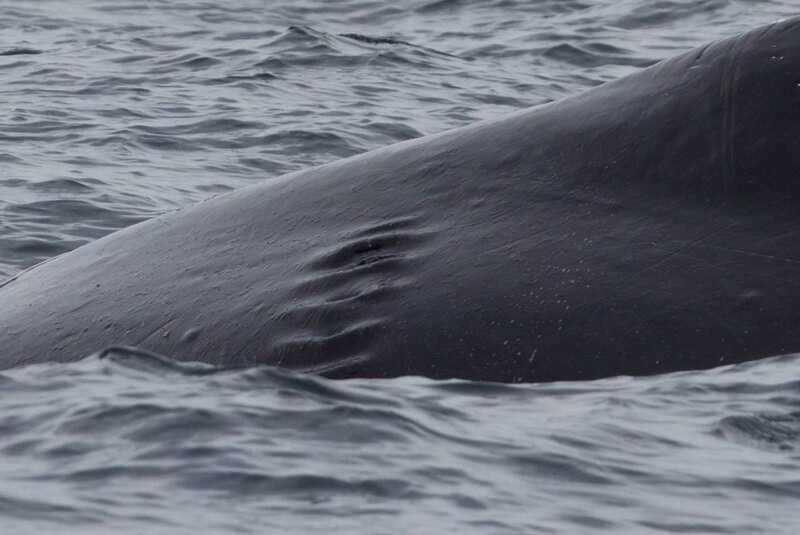 A Humpback Whale that we spotted on one of our recent tours had large marks on his back. 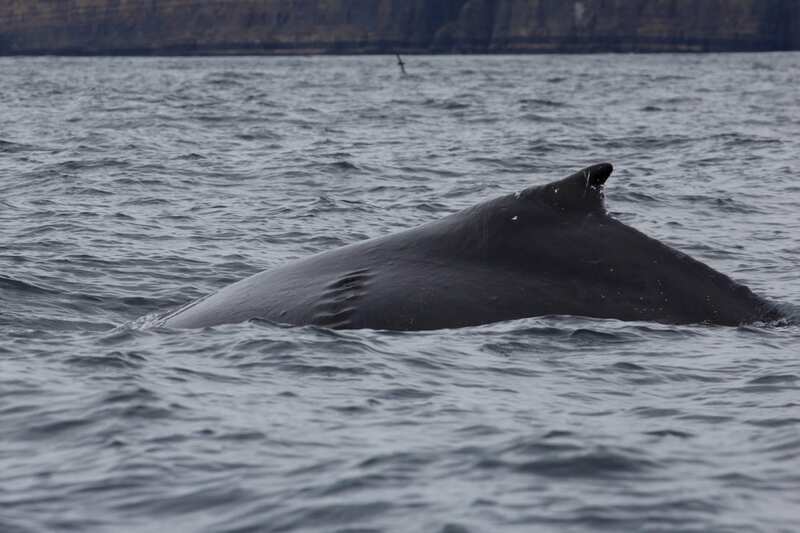 Not long ago, we spotted a Humpback Whale with lacerations on his back. On a closer look it appears like an injury caused by a propeller of a boat. Zooming in on the previous photo, the injury appears like it was most likely caused by a propeller of a boat. Choosing a responsible boat tour operator or knowing the guidelines for cetacean viewing helps immensely in protecting the animals which we are so passionate about. Not every business that claims to be an ‘eco tour operator‘ acts responsibly. We’ve been told many stories from guests on our recent tours that have experienced some disrespectful behaviour towards wildlife on previous trips they have joined (i.e. ‘herding’ dolphins into bays to snorkel with them, chasing whales with full speed, etc.). That’s not cool, so make sure you do your research. 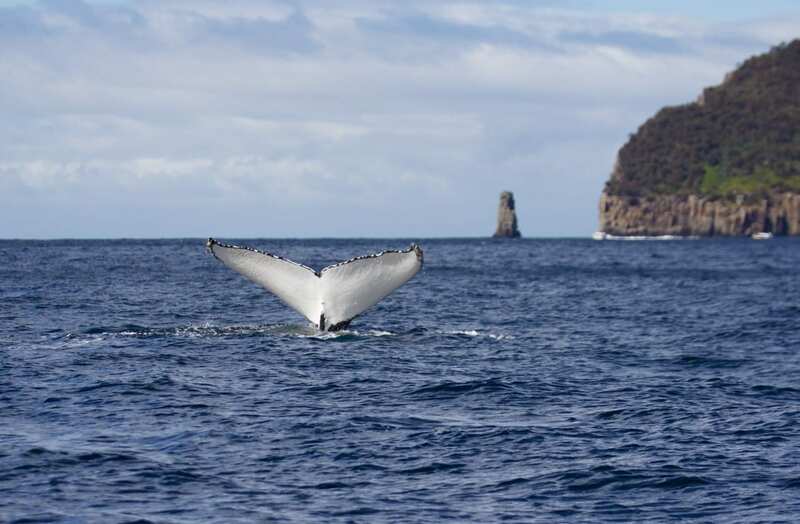 More information about whale and dolphin watching guidelines in Tasmanian waters can be found on the website of the Department of Primary Industries, Parks, Water and Environment (DPIPWE).